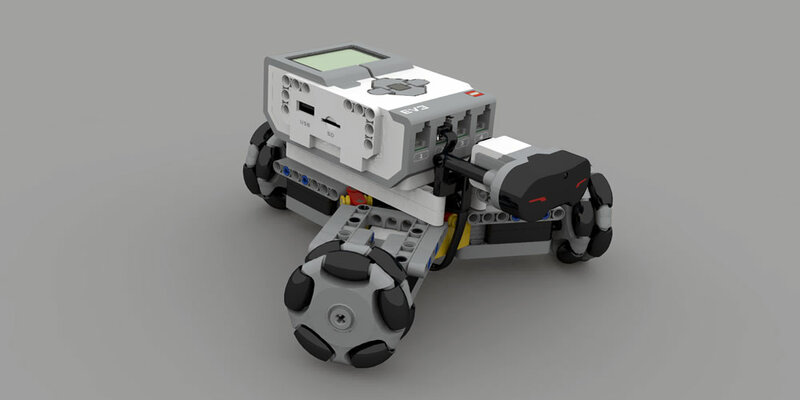 Built using Mindstorms® EV3 Home Edition and EV3 Expansion Set and some parts from other technic sets. 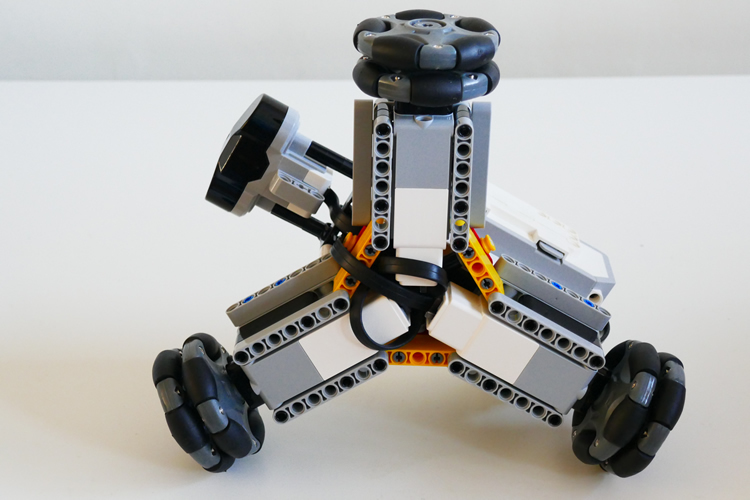 A remote controlled holonomic robot using omni wheels from Robot Shop, but can use the same Lego only wheels as MICK3Y. 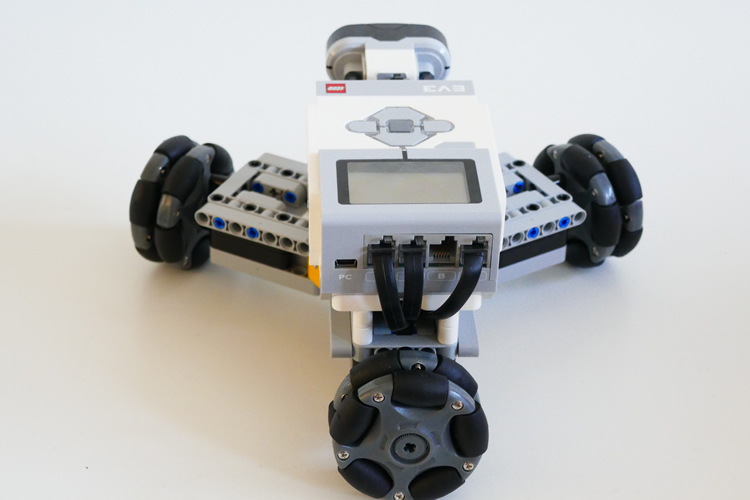 48mm diameter omni wheels can also be used. 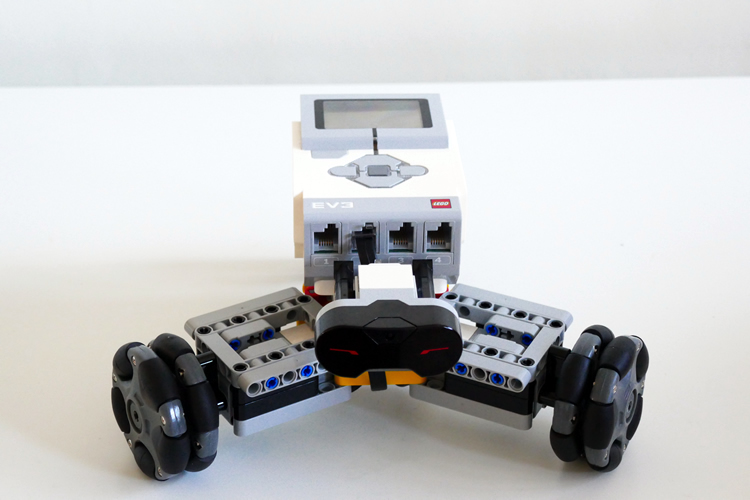 Build instruction in PDF format and EV3 program downloads at bottom of the page. The photos below show the routing of the cables to make them neater. 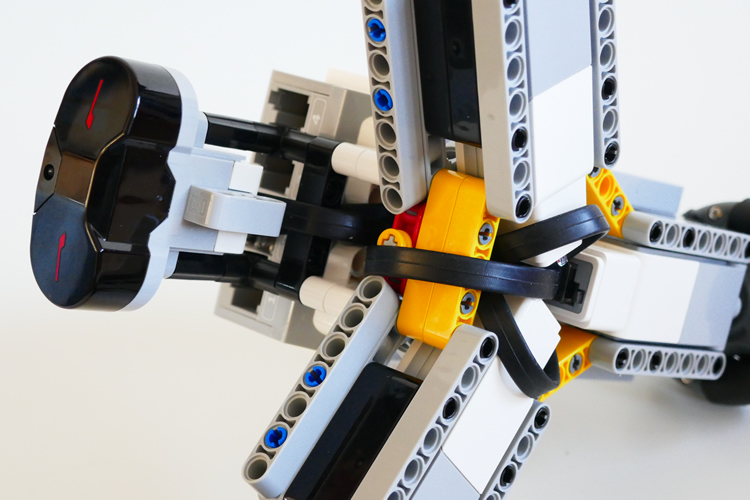 The omni wheel axles mayneed to change in length depending on the wheels used. 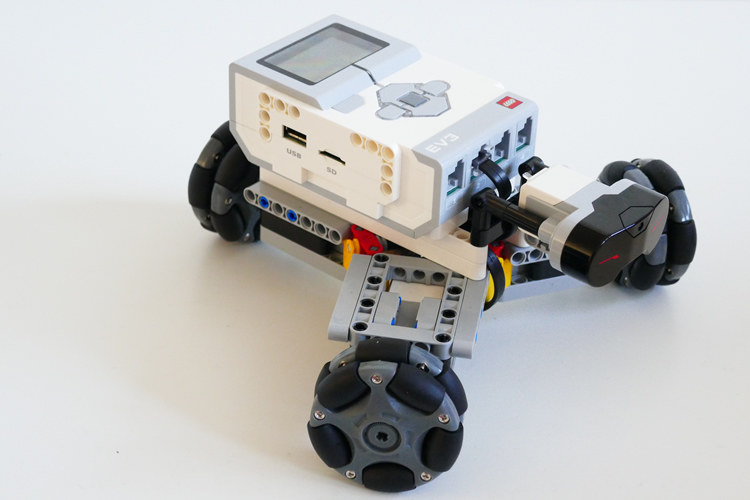 The remote control can use my joystick assembly, the build can be downloaded here JOYSTICK. 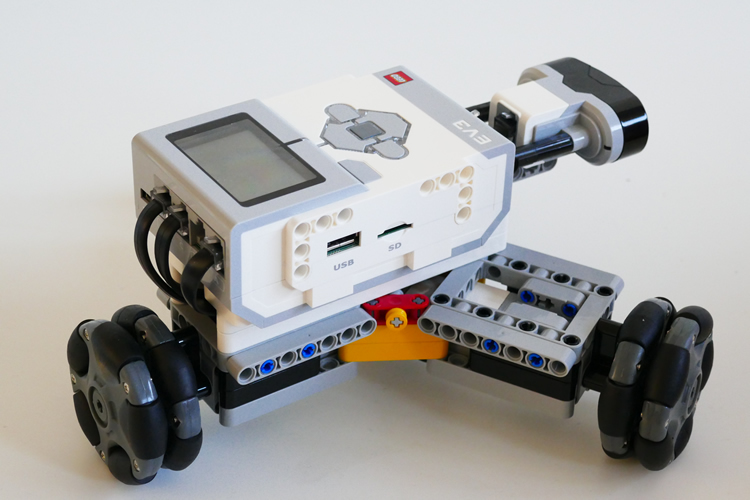 LEGO® and MINDSTORMS® are trademarks of the LEGO group of companies which does not sponsor, authorize or endorse this site.